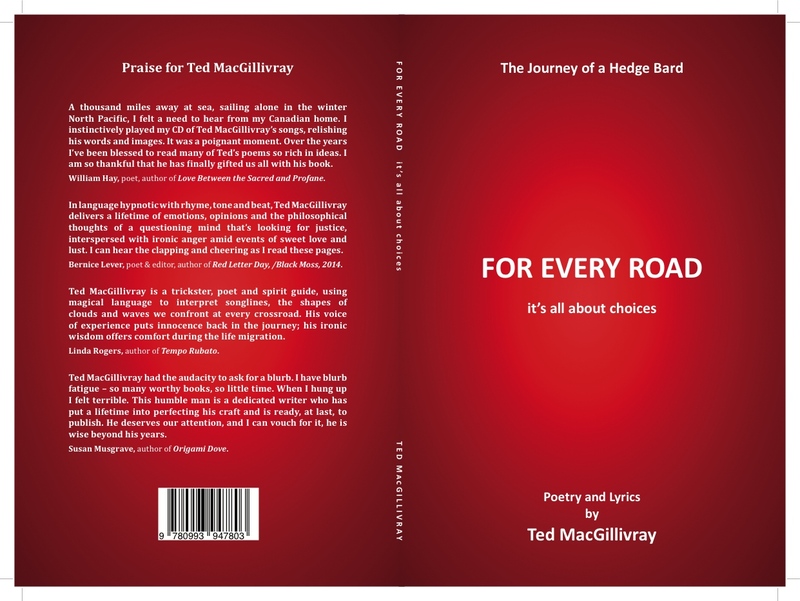 My book of poetry is close to being published. Delightful ironies, yet still romantic! The chance to read this book would be appreciated is it in stores locally or may one purchase from the author? It’s on sale at Pages’ on Gabriola Island and Lobelia’s Lair in Nanaimo. Retials f0r $12. And, yes, you can get one from me by mail, but it costs $3:00 to mail it. As the weather gets better I hope to do readings at folk clubs & coffeehouses and sell a few there. Thank you for asking. I appreciate the interest. BBs, Ted.